ATHLETES representing Penrith-based Arragons Cumbrian Triathlon Club were in dominant form at the inaugural Ullswater Triathlon. Staged on Saturday and based at the Park Foot site on the shores of Ullswater, the standard distance race took place in scorching temperatures and was watched by hundreds of spectators. It comprised a 1.5km swim in Ullswater, an undulating 40km cycle via Askham and Lowther before a final flat 10km run around Pooley Bridge. The aim was to host a Lakeland triathlon that is more accessible to the masses by selecting a reasonably undulating course, rather than a mountainous challenge like most of the local triathlon events. 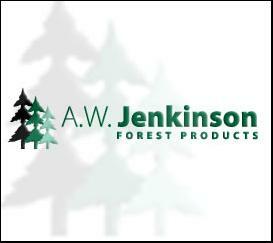 It was organised by Carlisle-based Sport in Action, in partnership with sponsor A. W. Jenkinson Forest Products. Arragons member James Douglas put in a superb performance to win the race in a time of 2hr 19min 45sec, with 50-year-old club-mate Stuart Robinson, of Appleby, second overall in 2.21.58 and first in the V50 group. Both are regular club coaches. Mark Nicholson, also representing Arragons, is enjoying a successful season. He posted in the top 10 by finishing in 2.32.33 and was third in the V40 category, while James Souter also deserves a mention for his fifth in the male over-30 section in a time of 2.42.31. This is James’s first season of competition, and he is one to watch. There were celebrations within the Arragons club for the ladies, too, with Nicola Davies crossing the line first in her age category, F55, in 2.44.55. Rhiannon Silson was hot on her heels and also first in her age category, F25, by crossing the line in 2.45.35. Gudrun Ravetz put in a storming performance and was second in age group, F35, in what was her first race since becoming a mother for the first time. Former Carlisle United player and ex-Penrith AFC manager Richard Prokas also competed for Arragons and finished in 2.53.57. In total, there were 22 Arragons members taking part in the field of up to 190 competitors. Club chairman Phil Graham said: “The setting of this event has to be one of the most picturesque and Sport in Action did a great job in organising what we hope will become an annual race. It has been great for the club not just in the success from the leading athletes, but also for the number of our members taking to the field and all achieving some great personal results. In the ladies’ competition, top honours overall went to Sarah Kenny of Manchester Tri Club, who finished a superb 19th overall in 2.38.45. The female runner-up, also aged 50, was Gill Mead, of Chester Tri Club, who finished just two minutes down. Representing the sponsors, Stephanie Bateman, Simon Bulloch and Jonathon Simpson took second place in the team event, and James Pittam was the first A. W. Jenkinson individual athlete home as he finished 41st overall in 2.45.25. Adrian Sowerby, of race organisers Sport in Action, was delighted with the success of the inaugural race. “The event seemed to go really well. We had literally hundreds of spectators on the run course, because it went through a couple of the local campsites and people sat down to watch it the afternoon start helped with that, too. “We must thank A. W. Jenkinson for its sponsorship and the many helpers who marshalled on the day, including the Penrith air cadets who did a great job and drew great praise from the athletes. We’ll be back for 2014 hopefully even bigger,” he said.